The visual evolution of virtual reality (VR) technology continues apace, with early versions of the Samsung Gear VR and Oculus Rift already in the hands of developers and enthusiasts. As resolutions get crisper with each new iteration, and technology such as AMOLED displays deliver ever deeper and richer colours, the need for premium quality photographic content grows. Combining Samsung Gear VR and Oculus Rift technology with innovative content and 360 Spin photography can launch your business into the new virtual age. Don’t be put off by previous false promises of technological revolutions (3DTV, 3D mobile phones, etc.). There has already been serious investment in virtual reality technology and when the market is ready – which will be soon – growth is expected to be rapid. Most businesses appreciate the importance of high quality, visual and interactive content for reaching out to and connecting with new and existing customers, but few realise the direction this is heading in. At the moment, the virtual reality headset, as exemplified by Samsung Gear VR and Oculus Rift, is set to be the hardware of choice for experience-hungry consumers. As these powerful technologies are in their beta stages, now is the ideal time to hook up with developers and explore the exciting possibilities for yourself. Whether you are a business owner or a developer yourself, the experienced, digitally literate photographers and content creators at 360 Spin can furnish you with the best quality panoramic photography at an affordable price, helping you to get off the ground. The application of VR to the gaming world is clear to see but, impressive as it looks, VR games just scratch the surface of what the technology will be capable of once developers really get to work. For example, social media is predicted to be the real game-changer for the industry, combining the human need for social contact with the ability to create fully engaging and interactive 3D visual environments. If you’re one of the growing number of business owners who already understand the importance of creating a strong and lasting connection with customers over the social web, you will appreciate what VR technology combined with 360 Spin panoramic photography can do for your growth. Perhaps your virtual venue could be the backdrop to the next online social community in your area or industry! 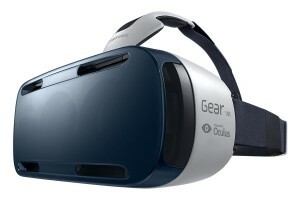 The Samsung Gear VR headset has already demonstrated that you don’t need to be tied to a PC to benefit from VR. Powered by a simple smartphone, this revolutionary headset opens up the possibility for innovations like 3D virtual reality teleconferencing wherever you may be: at home, on the beach or in a bar. By transcending the limitations of space, time and even language virtual reality offers businesses more ways to be efficient. 360 Spin panoramic photography is ready made for the bright new dawn of VR. Contact us, or ask your IT or content creation team to get in touch, to find out how we can help you to create an immersive visual experience for your customers.